Nine out of 10 motorists admit that they find it hard to see motorcyclists when driving, and 55% of drivers say they are surprised when a cyclist ‘appears from nowhere’. insurethebox is therefore urging younger drivers to stay aware when it comes to spotting motorbikes on the road. According to Think!, motorcyclists make up just 1% of total road traffic, but account for 19% of all road user deaths . Drivers have a responsibility to make sure that all road users stay as safe as possible, including motorcyclists. insurethebox rewards younger drivers for cultivating safer driving habits by reducing risky behaviour and offers tips on minding out for motorbikers. “The harsh reality is, that a driver involved in a collision, in which a motorcyclist dies could be charged with causing death by driving,” explains Simon Rewell, Road Safety Manager at insurethebox. “Anyone convicted of this crime can be sentenced to a maximum penalty of five years in prison with a minimum mandatory disqualification of 12 months and a discretionary re-test . It’s vital, therefore, that drivers take time to think about the safety of all road users, especially motorcyclists. And we believe this particularly applies to younger drivers where their lack of experience means they are less aware of other vehicles around them and the speed of those vehicles. Drivers with our telematics boxes in their cars are rewarded for safe driving behaviour. For instance, Bonus Miles are awarded based on safe driving behaviours undertaken on journeys throughout the month with insurethebox awarding 171 million Bonus Miles to motorists , since its launch. Telematics based insurance can play a crucial role in helping less experienced drivers develop good driving habits that help them stay safe on the roads, benefitting all road users. insurethebox policies offer an initial 6,000, 8,000 or 10,000 miles of cover. A telematics box installed in the vehicle then monitors their driving and safer drivers can receive up to 100 free Bonus Miles per month. Each policyholder has their own portal where they can check their progress, how many extra miles they have earned and how they could have earned more. Renewal premiums consider actual driving style, with safer driving earning the best prices. • Keep a safe distance between yourself and any motorcyclists. 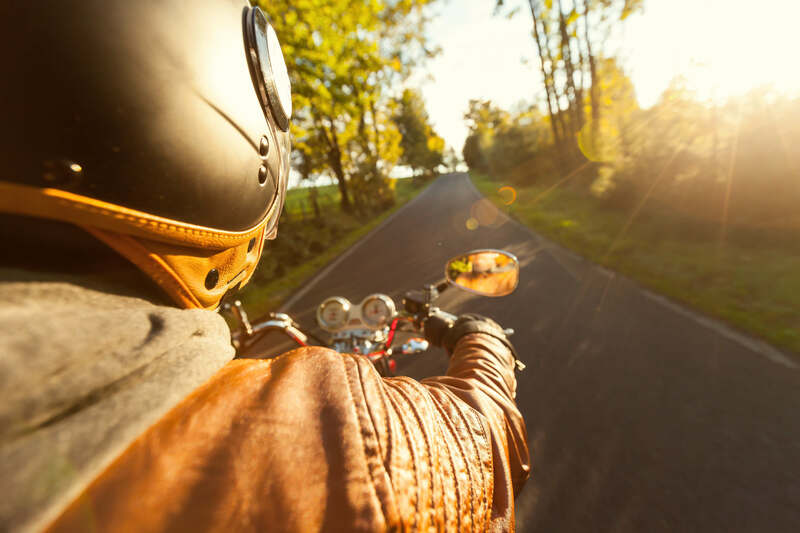 Driving too close can intimidate less experienced bikers and increase the likelihood of an accident. • Consider motorcyclists once you’ve parked, by checking before you open your car doors, and make sure that your passengers do the same. When you drive off, look specifically for motorbikes as they can accelerate faster than cars. • Remember that motorcyclists could be on either side of you. Whether you’re turning left or right, make sure to double check all around your car for any motorcyclists that could be nearby. Also be aware that parked cars, or larger cars and lorries could be blocking your view of a motorcyclist. • Always think about your blind spot and check for motorbikes when you’re changing lanes or at a roundabout, as a motorcyclist could be in the space you are trying to move into, or they could be approaching that area at speed. • Always check at least twice for approaching motorcyclists, when emerging from a side road onto a major road, as it is easy to misjudge the speed of oncoming motorcycles.